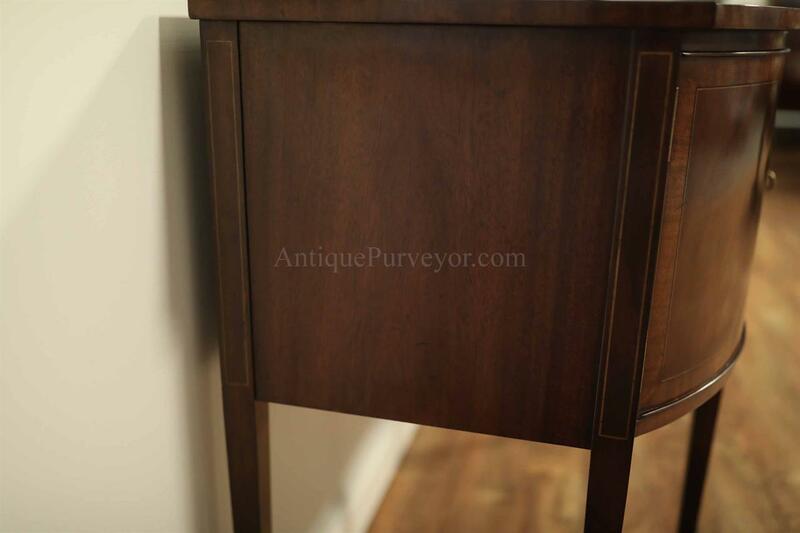 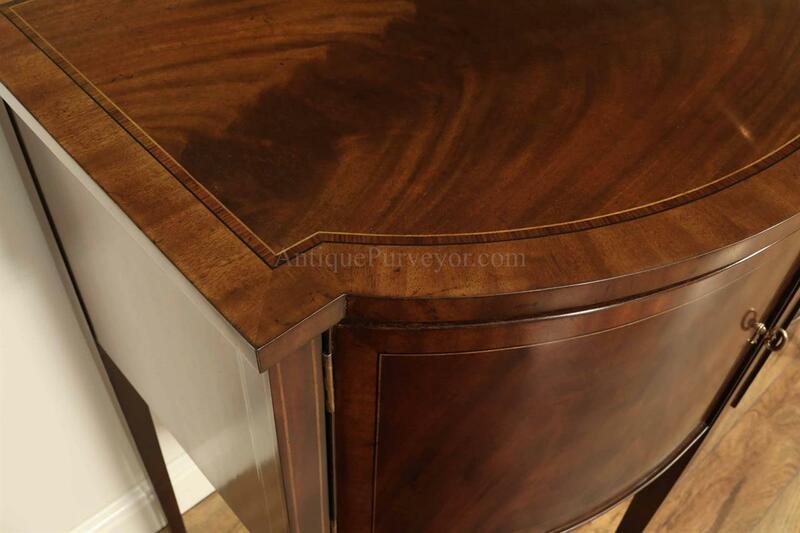 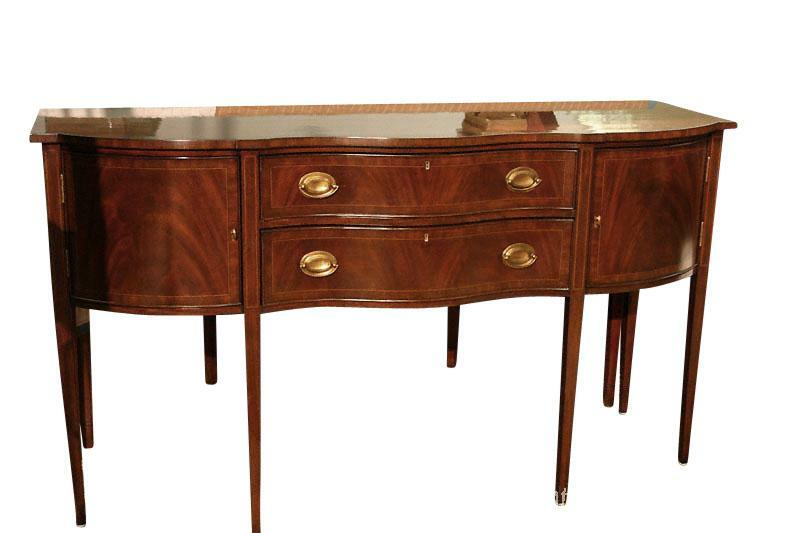 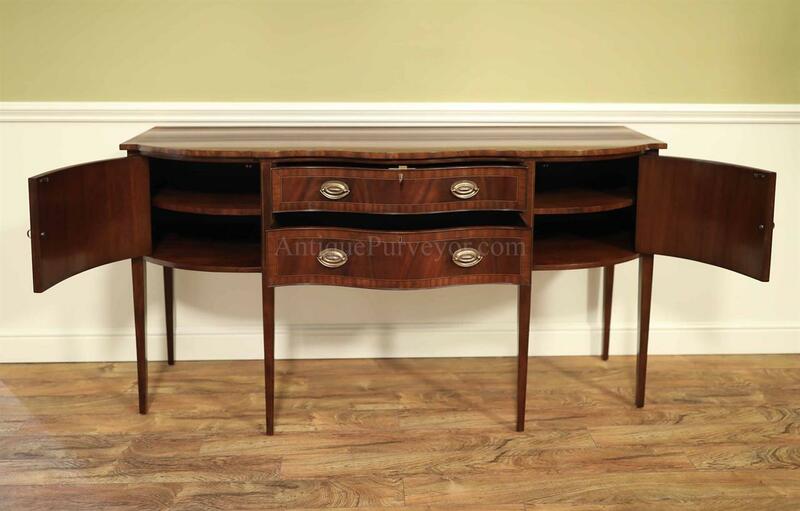 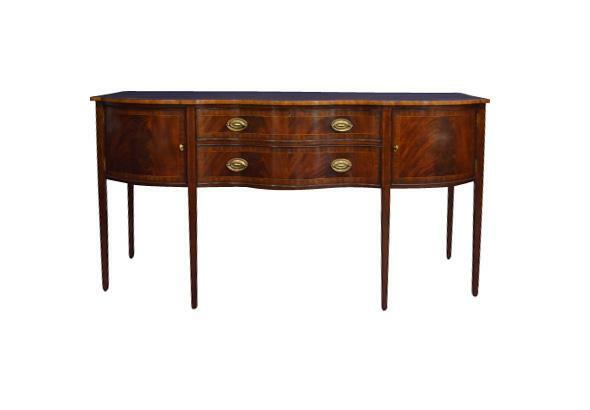 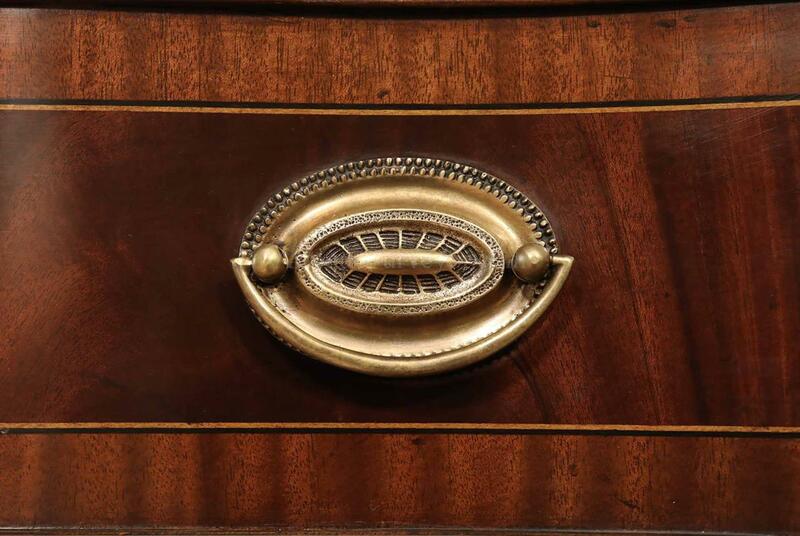 Description: You are bidding on this Bentley Manor sideboard. 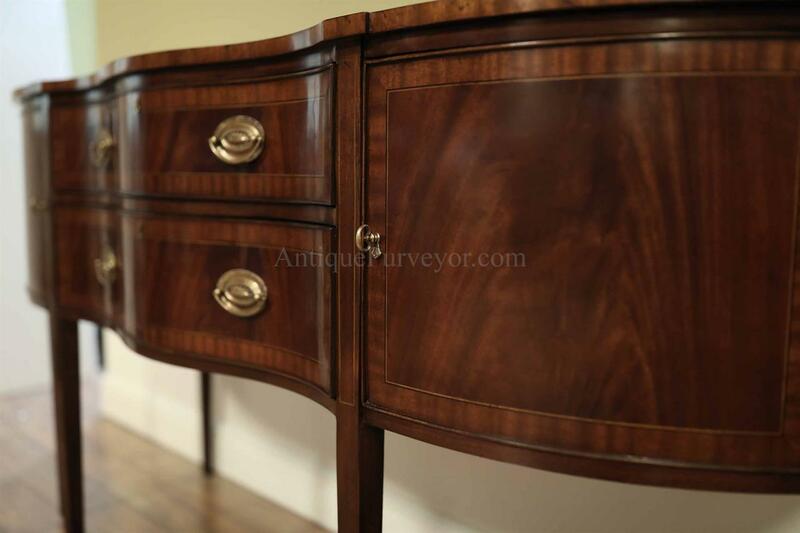 This sideboard is very good quality and it is a new cabinet. 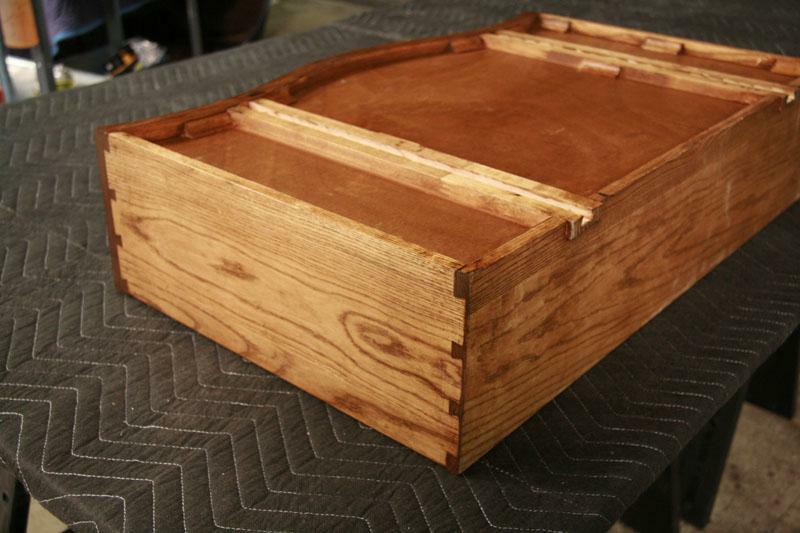 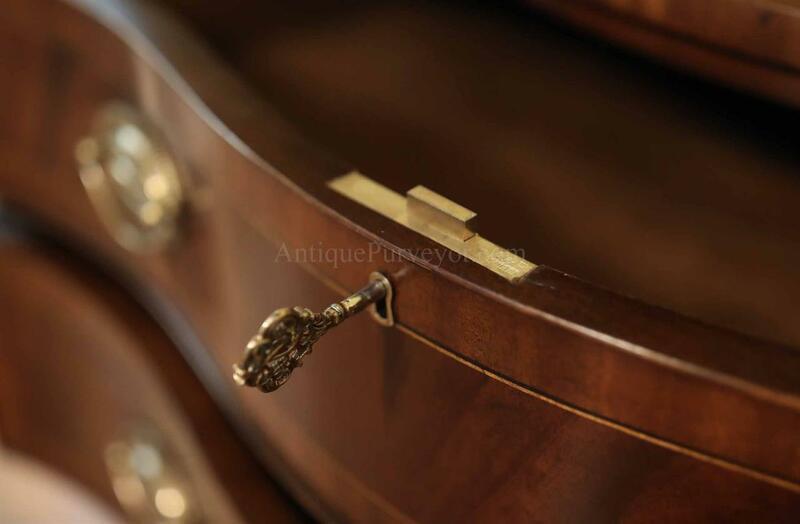 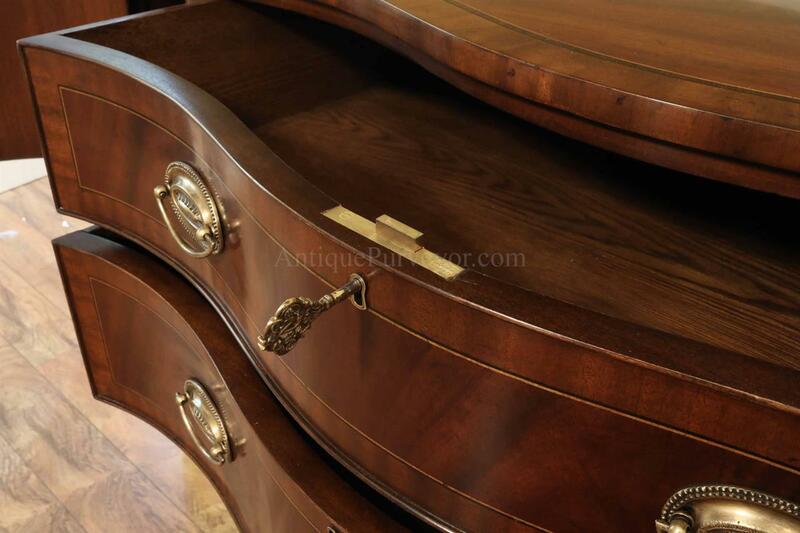 The two center drawers are dovetailed and they are made of solid oak with handd-made drawers slides. 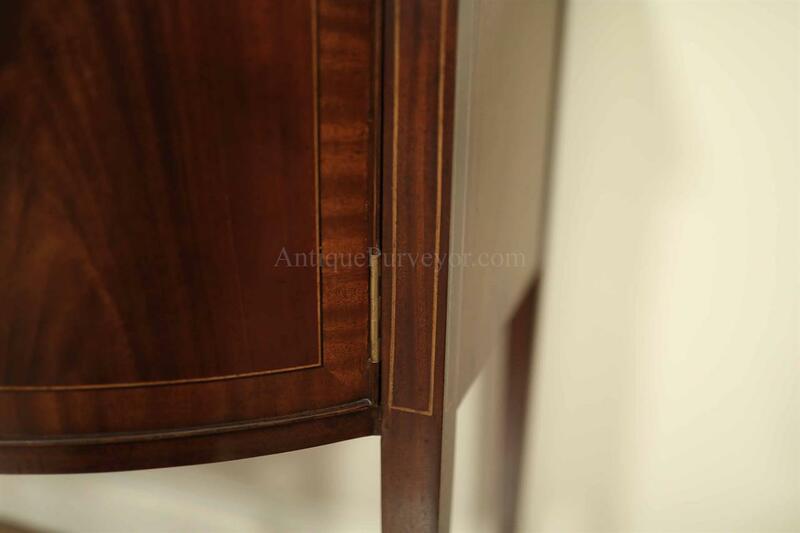 There are no repairs on this sideboard and it is ready for a house. 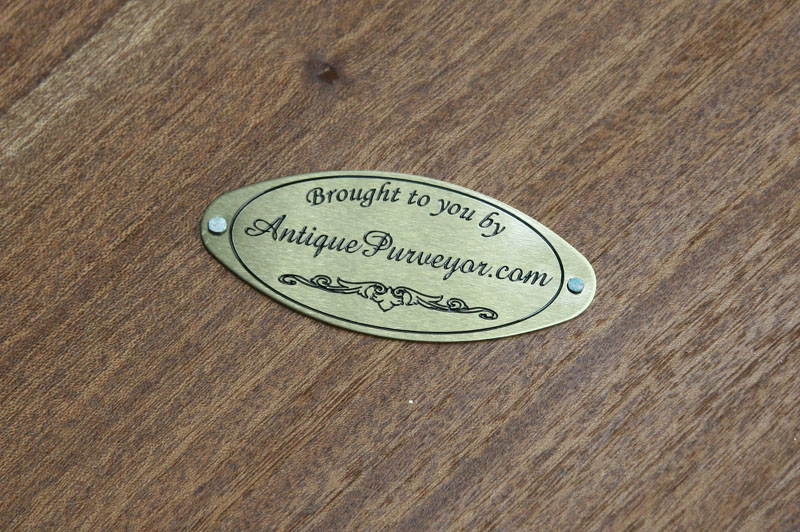 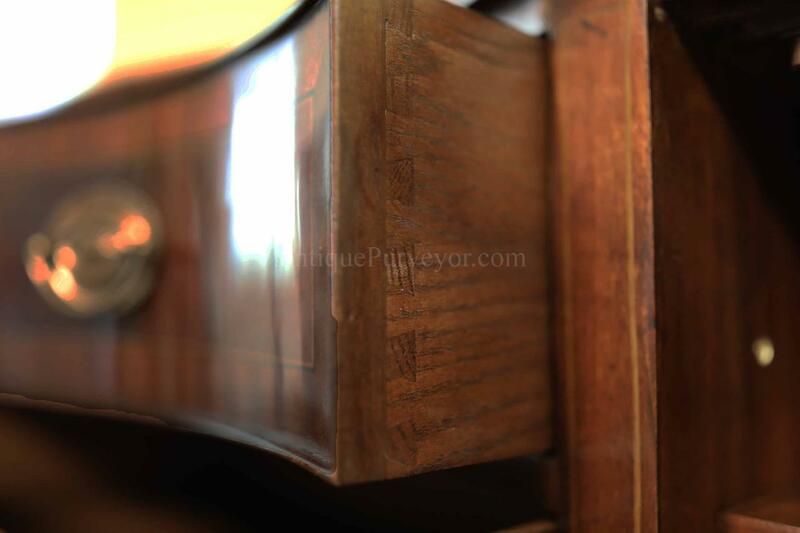 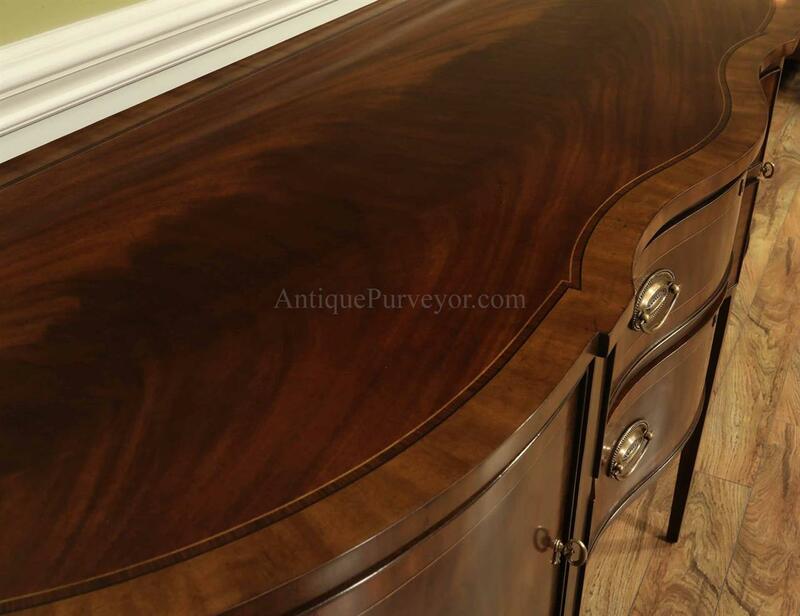 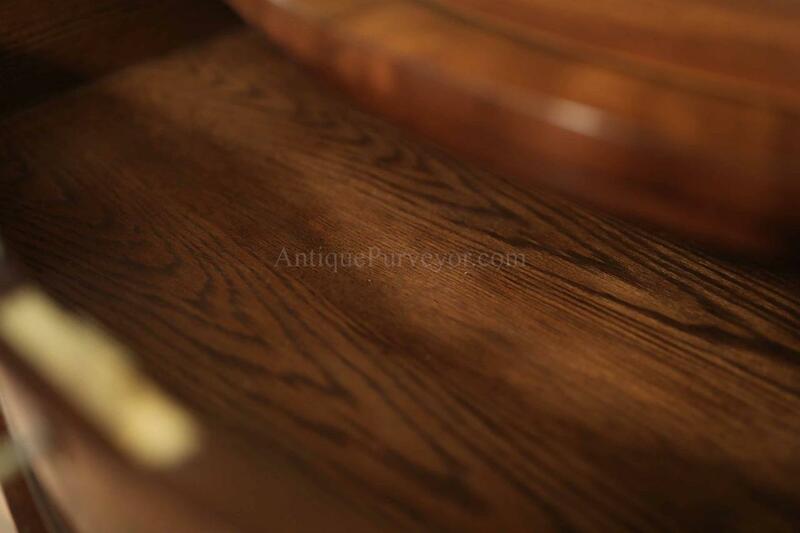 The finish is a warm brown mahogany in a semi-gloss sheen. 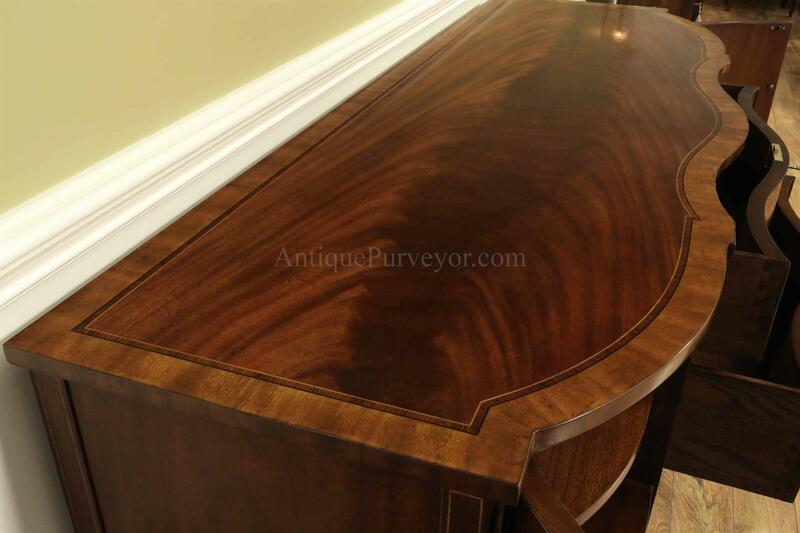 It is also a pretty big sideboard. 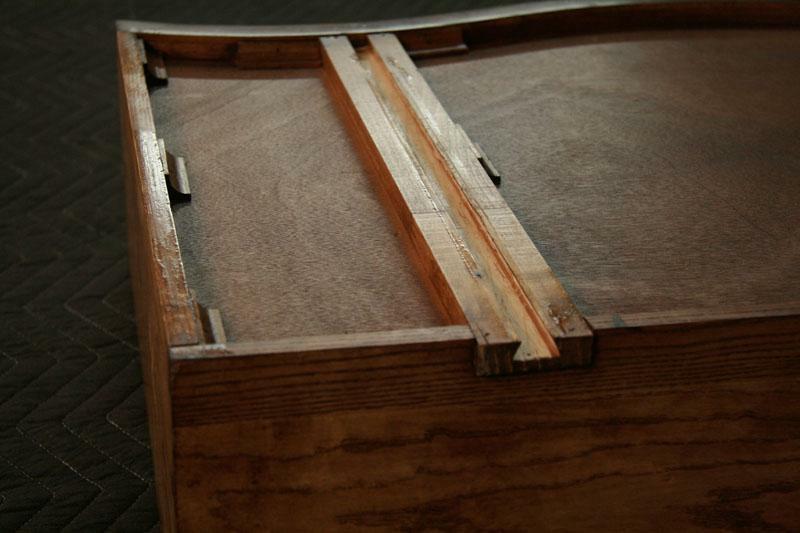 It is 68" long and 24" deep at center. 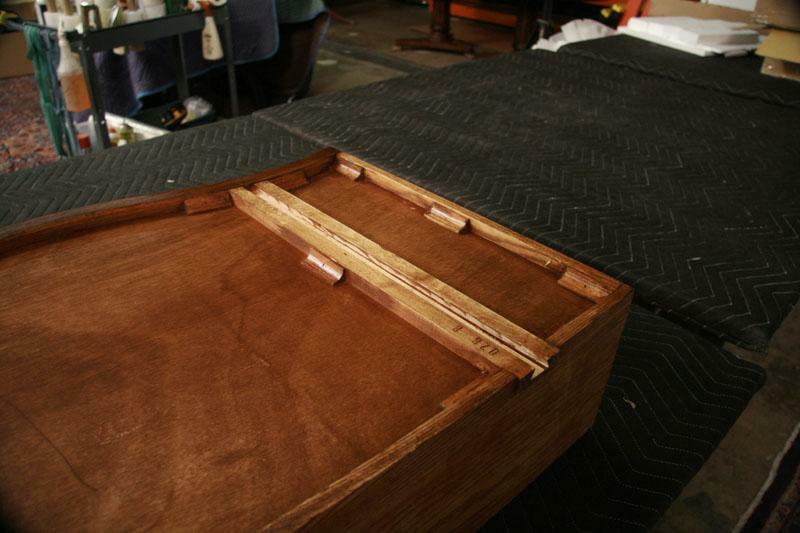 The ends taper off to 18" deep. 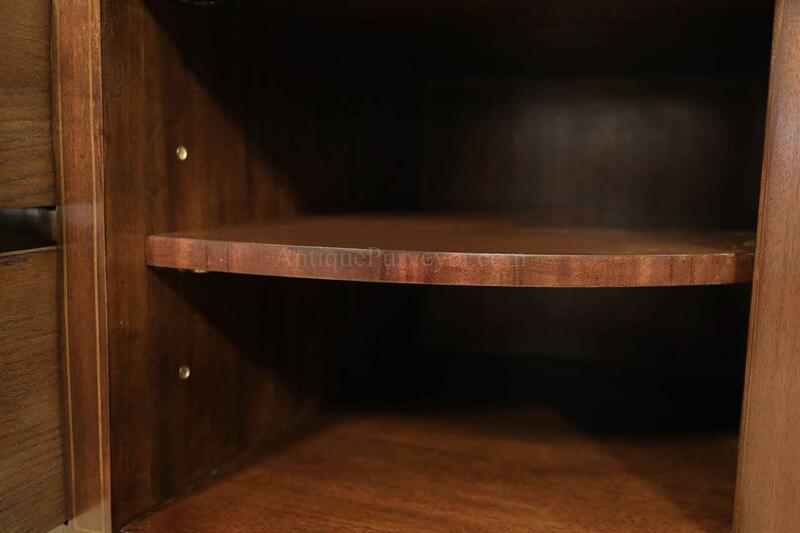 This cabinet has tremendous storage. 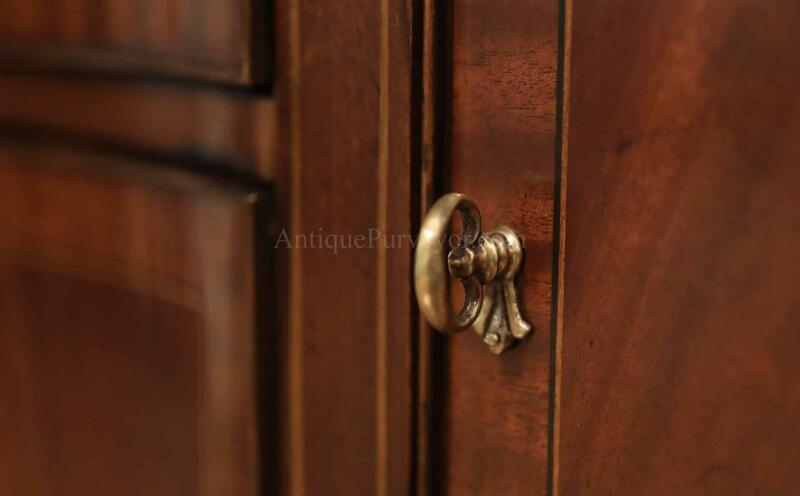 The two opening doors hide a big storage area with a shelf and the drawers seem to never end and are very deep. 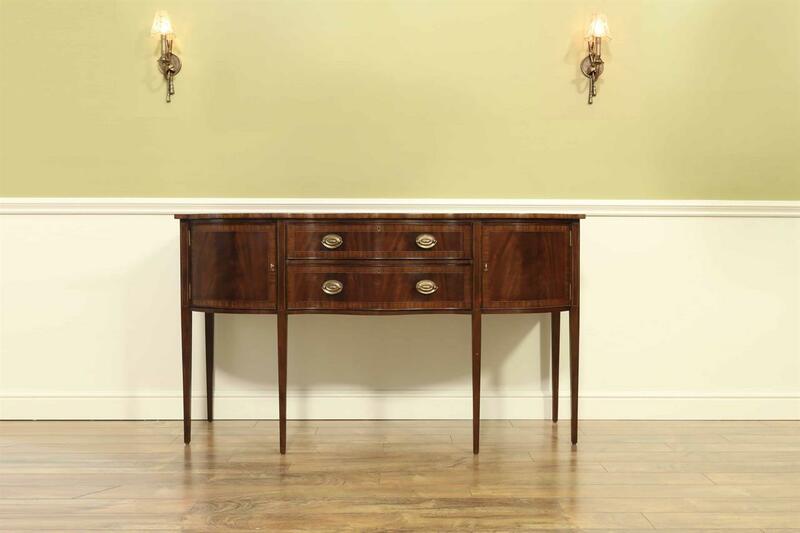 This sideboard is here because the quality stands up to our American made tables and it coordinates well with almost everything we have, including china cabinets. 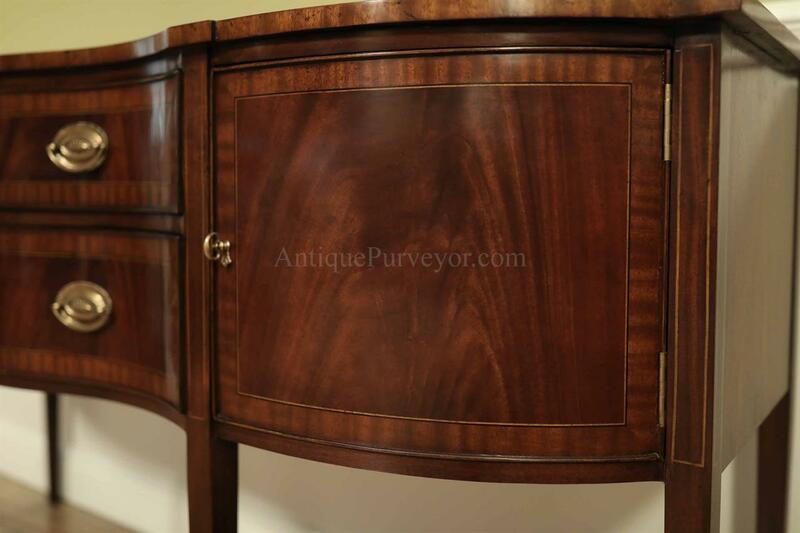 This cabinet is a solid mahogany frame, the cabinet has fancier flame mahogany fields and mahogany banding.